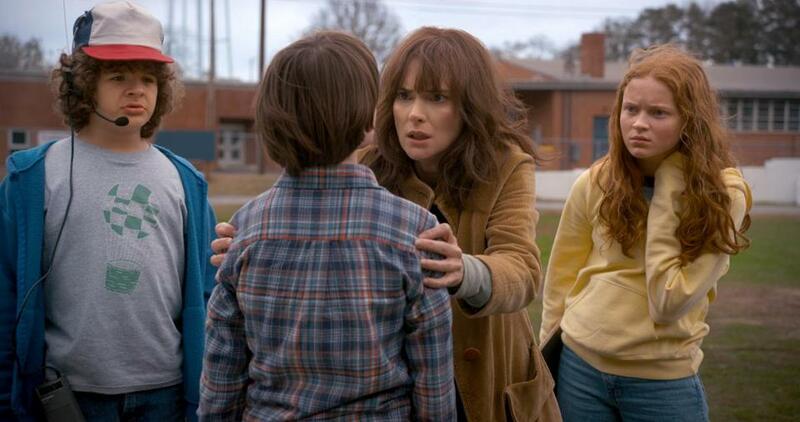 An image from season 2 of “Stranger Things.” Pictured: Gaten Matarazzo, Winona Ryder, Sadie Sink, and Noah Schnapp. The trailer for season 3 of the wildly popular Netflix show was released Wednesday. Netflix dropped the official trailer for season 3 of “Stranger Things” Wednesday morning, and fans are getting an eyeful. By noon, the video already had almost half a million views and was trending on Twitter. The third season of “Stranger Things” drops July 4 on Netflix.